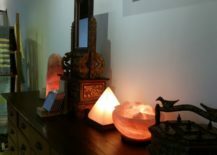 If you ever came across a Himalayan salt lamp you have surely noticed their special energy and unique light. They are said to have many positive effects and are often seen as almost spiritual. 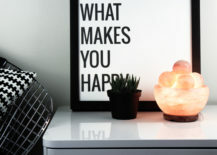 Made from a large salt crystal, even if you don’t need a lamp with alleged “superpowers”, the pink look of the salt crystal that glows in bright orange when it’s lit up is a special decor piece for any room of the house. 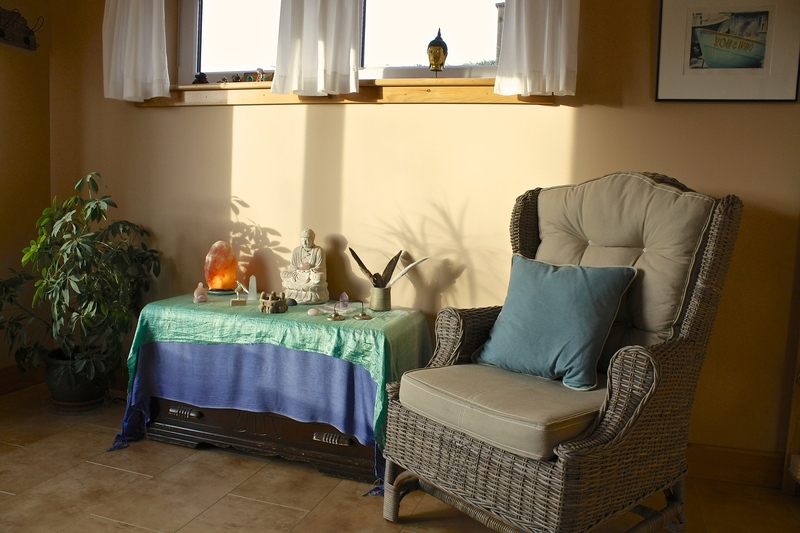 Do salt lamps appeal to you but you’re not sure how they would work with your home’s interior? 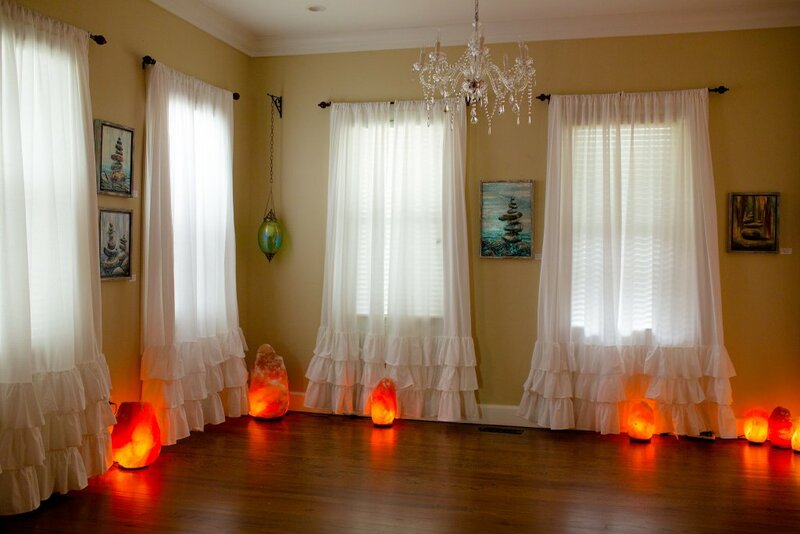 Let us walk you through some creative ideas of incorporating salt lamps into your decor! 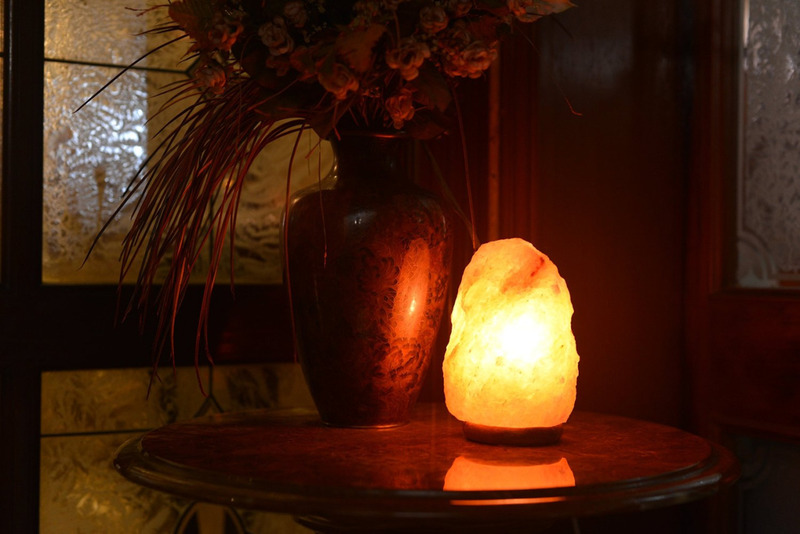 Whether your living room is big or small, the glow of the orange light coming from your salt lamp will instantly give it a cozy and comfortable feeling. 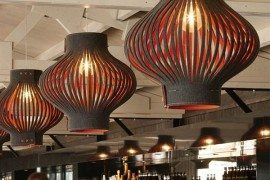 The beauty of these lamps is that they are incredibly versatile and can easily adapt to any style of interior, from a wooden rustic living room to a contemporary reading nook! 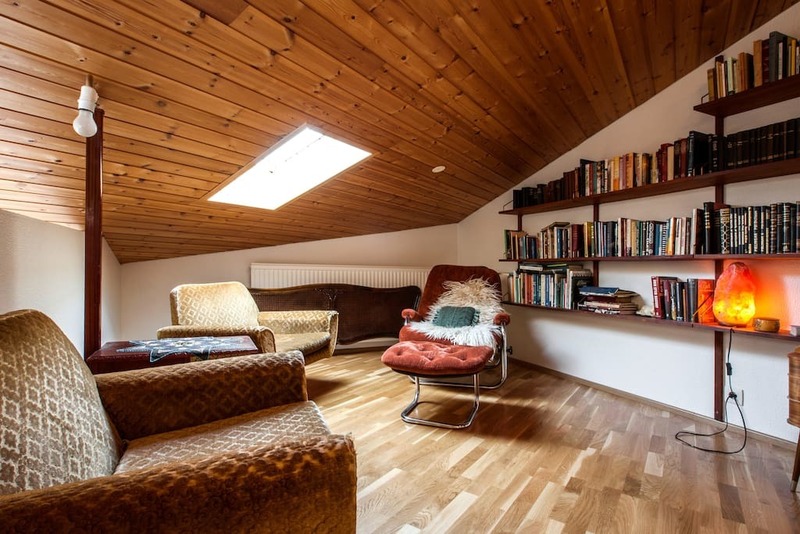 If you love the salt lamp’s glow so much you can’t possibly imagine getting only one, this living space offers a great idea for incorporating several salt lamps into the space while still leaving it open and breathable! 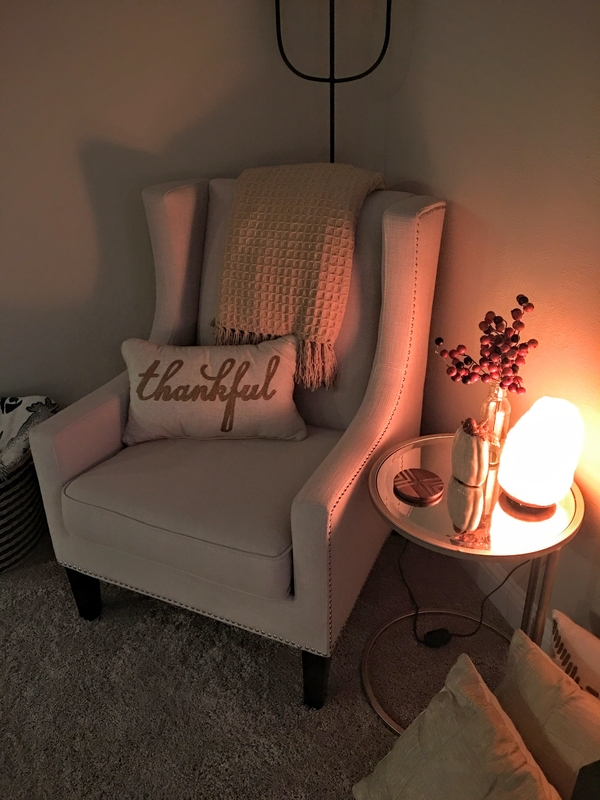 When you sit in your comfortable reading nook at the end of a long day, reading your favorite book in the gentle glow of a salt lamp, you will know you have a made a really brilliant and functional decor decision! 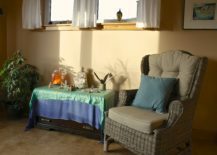 Place a salt lamp in a country styled attic living room to create a relaxing space that channels the comfort of a cozy cottage. 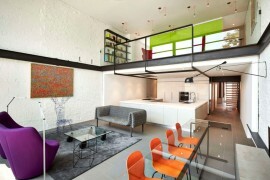 Living room is the space that usually holds the majority of the home’s decorative lighting. 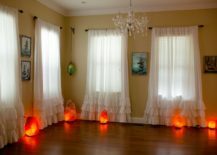 However subtle, a salt lamp can become a very important part of the interior. 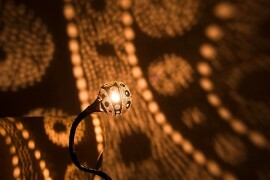 Its decorative value will not be overlooked when the orange glow welcomes you every time you step into the room. 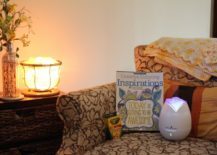 The salt lamp can become a part of your unwinding routine as you sit in your comfortable armchair and let go of the day. 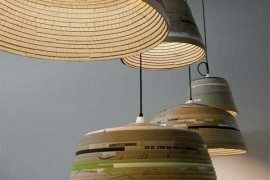 It is such a marvelous addition to a space decorated in beige tones; it brightens them up and adds radiance! 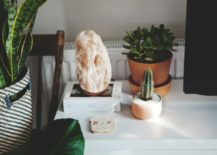 Since the salt lamp is made from a natural Himalayan salt crystal, you can place it among your other nature’s gems that are decorating your home, allowing it to complement the living greens. It’s a really creative idea, showcased at Urban Outfitters. 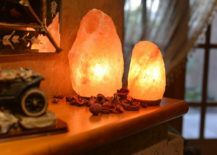 Salt lamps come in all shapes and sizes and if you are an enthusiast, you will probably want to have several of them. Dedicating a special place in your living room purely to decorative lighting has never looked so genuine! Unlike most of other lights, a salt lamp will have a strong decorative value even when it’s turned off. 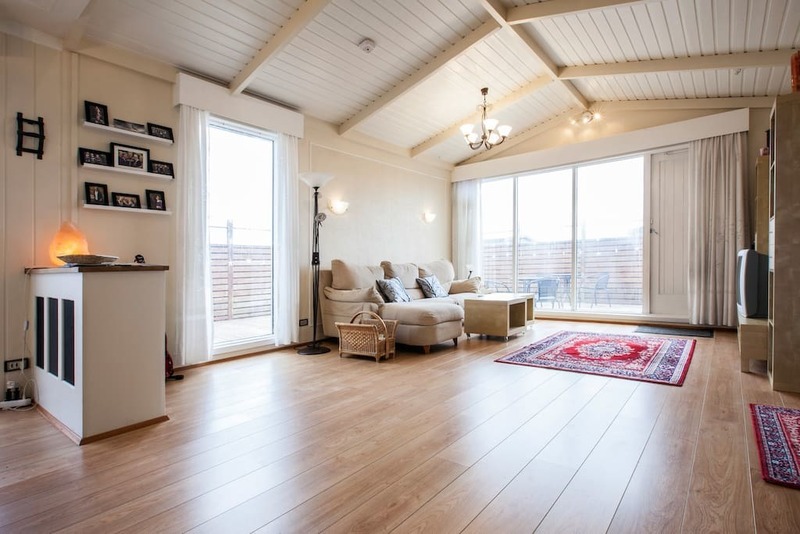 Its pink look has the ability to impress both in dim rooms and in rooms immersed in bright natural light! Place it next to a big window to see it shine in daylight! A Different Kind of Salt in the Kitchen! 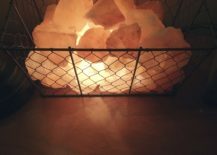 Even though you can totally cook with Himalayan salt, you’re not going to be doing so with the salt lamps (we hope)! This salt will only make sure your cooking space is filled with charming light and good energy, brought on by your feeling of inner calmness that romantic lighting can awake in us. 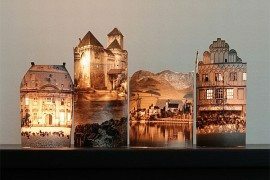 Decorative lights, when they look as good as a salt lamp does, don’t have to be isolated somewhere on a shelf, away from all the action. 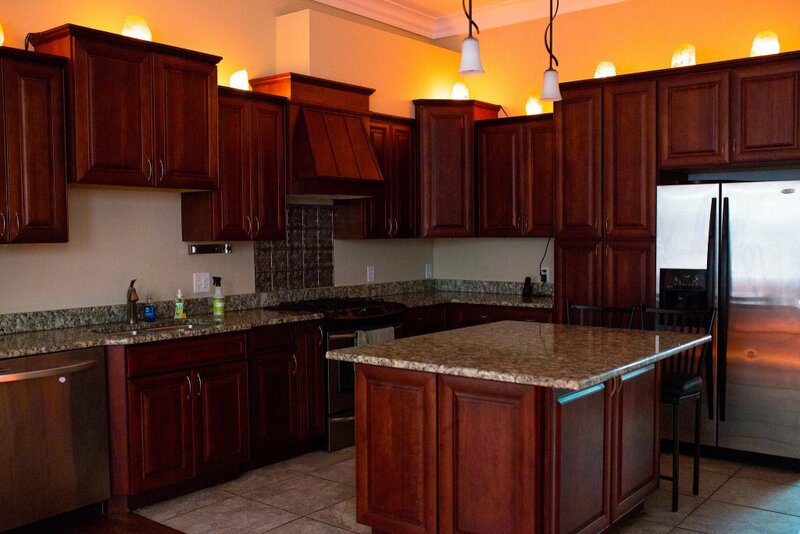 Place it in the midst of all the culinary happening and see how it makes the kitchen more welcoming! Here’s a slightly different spin on the idea mentioned above! Don’t have glass cabinets? 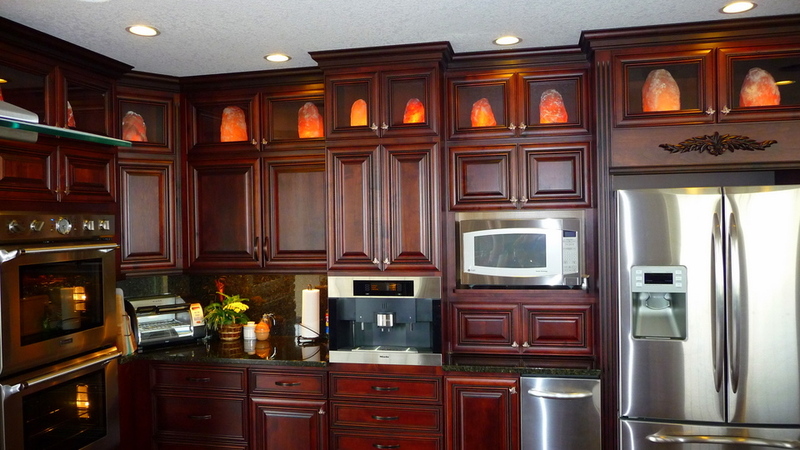 Put the salt lamps on top of the cabinet structure and watch how the subtle lighting makes your entire kitchen glow in yellow light! 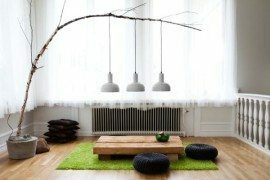 Dedicating a special corner only to your favorite decorative pieces is a very smart idea to tackle the problem of unused spaces within your home. 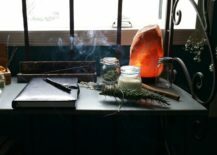 It can be in the entryway, hallway, at the top of the stairs or simply that unused corner inside of your room that you’ve always been meaning to fill. 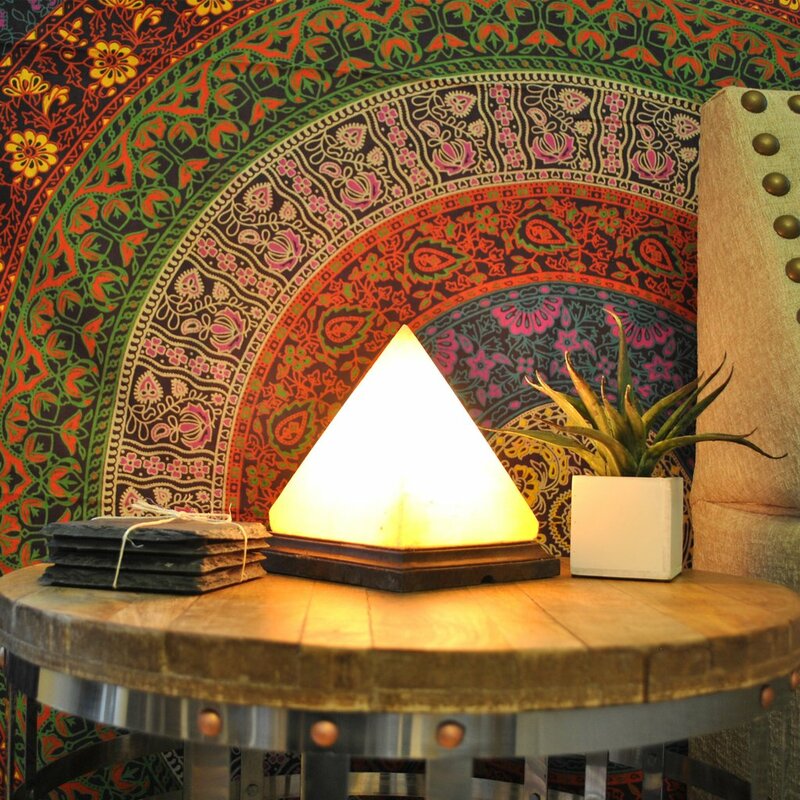 All you need is a table, a salt lamp and any other decor piece that is near and dear to your heart! Staying motivated and innovative is key! 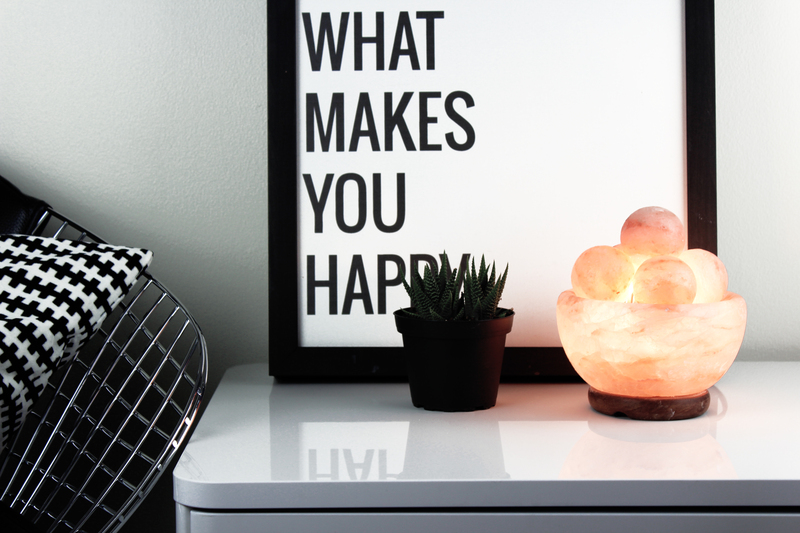 If your salt lamp can be a part of this message, we’re all for it! When it holds a unique shape, it is instantly more noticeable and therefore the ideal choice to place next to a motivational board. 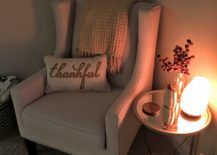 What looks like a simple decorative table with a vase and a pink lamp during the day, turns into an inspiring and intimate light decoration piece during the night, when the salt lamp finally has the chance to show off its orange radiance. 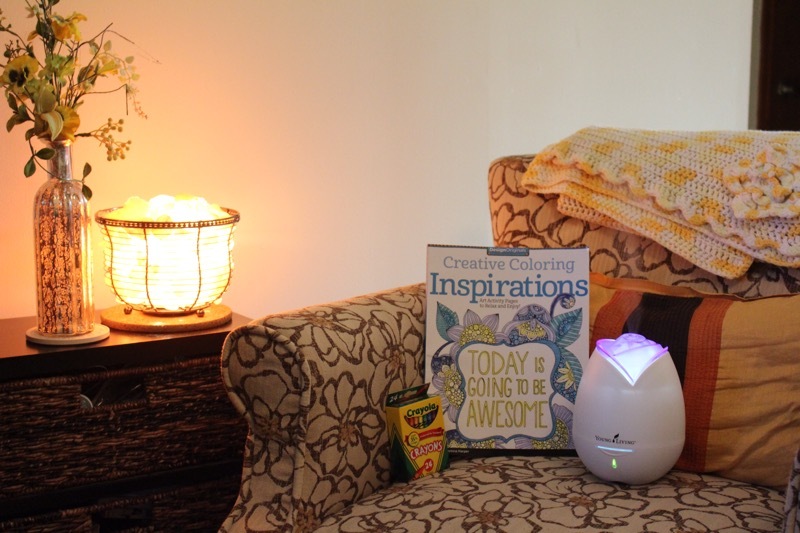 Maximize on this decor idea in any room that feels too dull or could use some glow in the evenings! 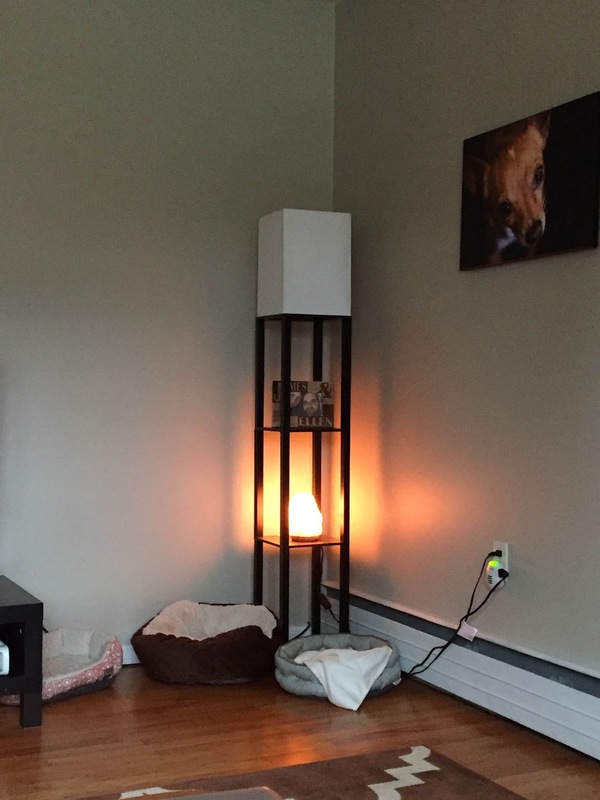 Here’s the perfect example of how a salt lamp can work amazingly with other elements that you find inspiring. 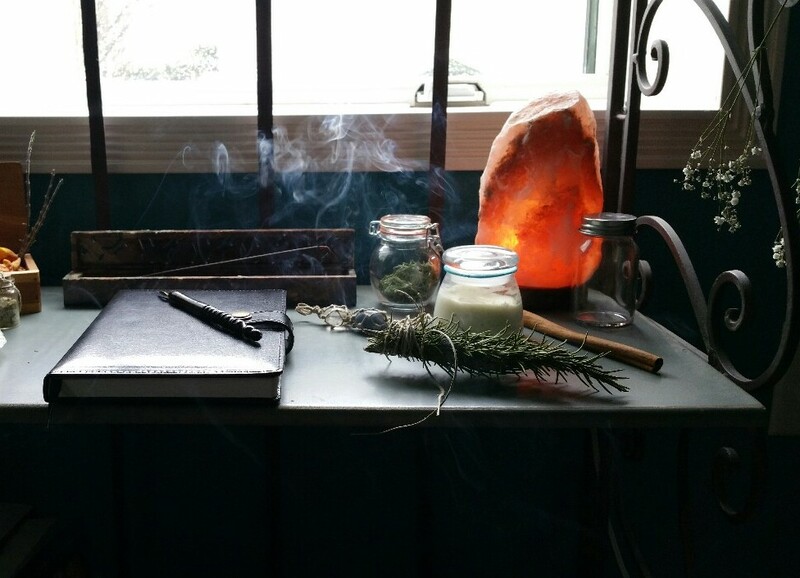 Candles and journals seem wonderful companions for it, together creating a space that feels purposeful! 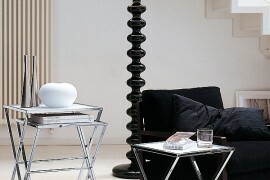 Don’t let the very corner of your shelves or mantelpiece go undecorated and therefore unnoticed. After all the pictures have been placed, add a salt lamp or two to create a unique ambiance. 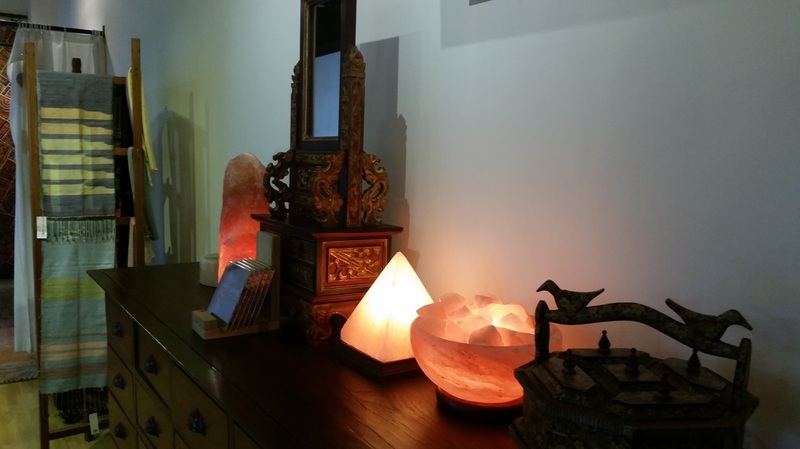 The more you think outside of the box with the shape of your salt lamp, the more noticeable and markant it’s going to be. 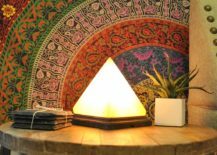 This pyramid salt lamp definitely has the power to act as a core decor element in any room, drawing all the focus to itself! 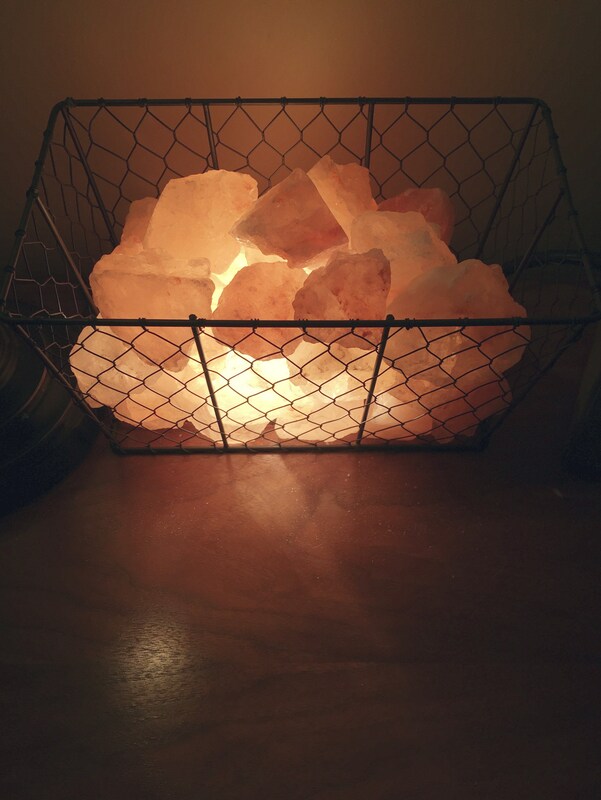 Speaking of innovative salt lamps, these lit up salt crystal pieces within a wire basket create a salt lamp installation like none other, making it a go-to element when you are in need of a fabulous finishing touch! 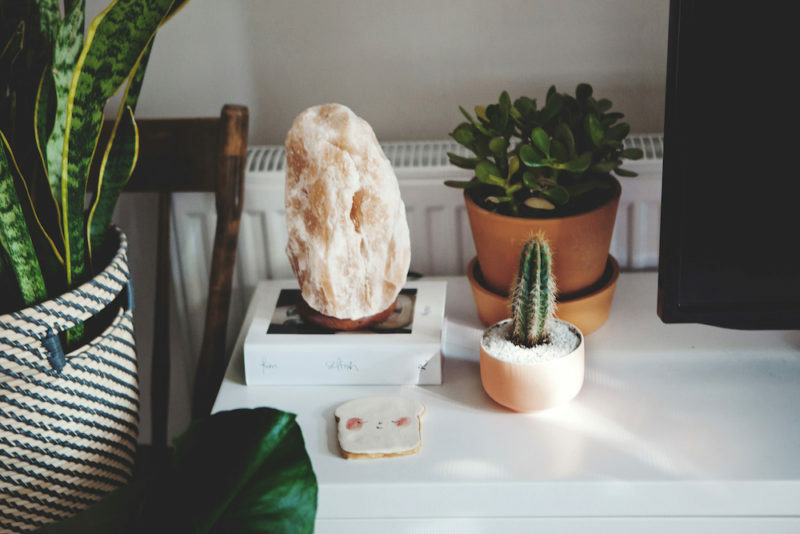 Last but not least, your salt lamp can find its rightful place within your bedroom, where it can play the role of rosy decoration, orange mood lighting or an actual source of light if you are known to enjoy reading in faint lighting. 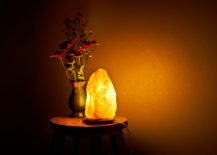 A salt lamp can become a big part of your bedroom space and it would not surprise us if you grew very fond of it. 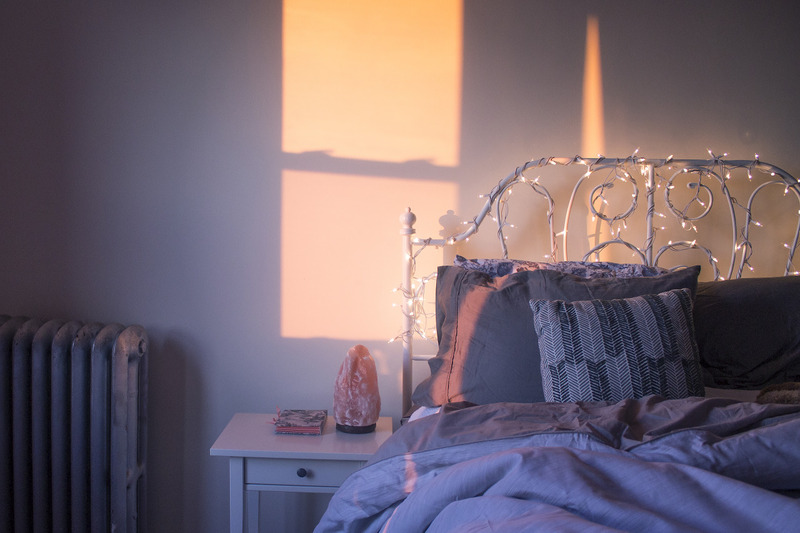 In addition to a regular bedside lamp, a salt lamp can find itself both on your bedside table and on the floor next to it, for a more dynamic and creative way of styling your sacred sleeping space. 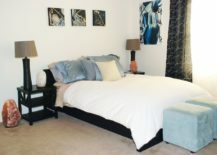 Styling a smaller bedroom can be a challenge and it’s all about making the most out of the space that we are given. 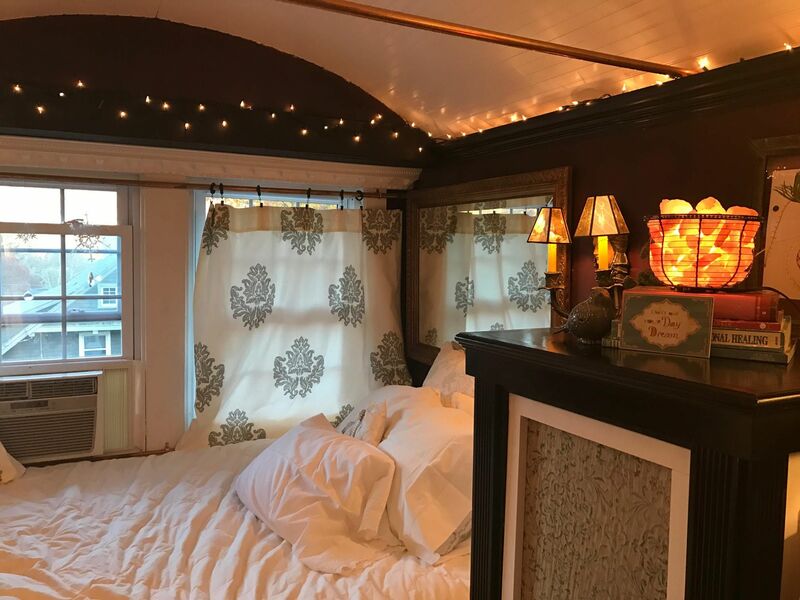 Adding some mood lighting can really bring the cozy element into the room and instantly turn it into a romantic little corner! Think of how wonderful your pink salt lamp will look like in the morning glow of sunrise and evening bliss of sunset. The pink and orange colors of the rising and setting sun are the perfect match for your salt lamp, regardless of whether it’s turned on or off.